Samsung's Galaxy S2 is the successor to the popular Galaxy S. It has a 4.3" WVGA Super AMOLED plus display, 1.2Ghz dual-core processor, NFC, Bluetooth 3 and HSPA+. It's only 8.49mm thick at its thinnest point. If Samsung achieved its 10 MM Galaxy S II sold in 5 months, how it comes they were producing 3 MM substrates a month and now they are producing 24MM a month with plans to ramp it up to 48 at the end of 2011 and to 100 MM at june 2012. If anybody has data on this please share it at cristobalsucre@gmail.com. Not sure what exactly you are trying to say, but I think you have to keep in mind that the Galaxy SII is not Samsungs only AMOLED product currently on the market and others like the Note will be launched soon. So it makes total sense that their overall production numbers for AMOLEDs are higher than the sales of their Galaxy SII alone. The other thing is that you always have to be careful with those numbers. Most of the times those numbers give the production capacity and not the actual production. Especially given that Samsung is not very likely to ever officially announce actual production figures. What I'm trying to figure out is how those numbers add up.The other two models sold 10 MM units in 7 and 6 months respectivly. So, the planed incremental production is still on those dates: 48 MM by the end of dec 2011 and 100 MM by the end of jun 2012? Thanks for your reply, any clarification or data will be very well apreciated. I think Samsung is still on track with their original plan. 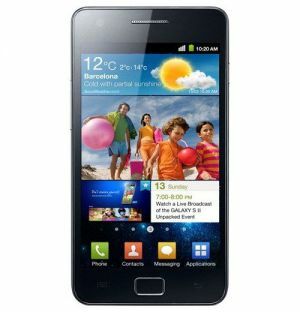 Samsung - over 5 million Galaxy S II phones sold in South Korea, 25% of Koreans use this phone!